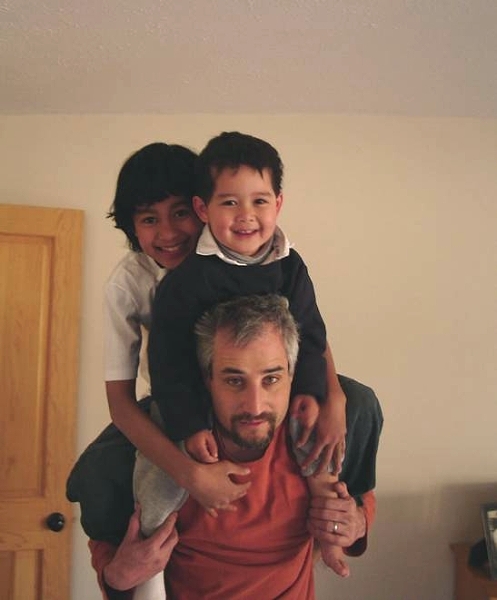 Here is my multi-ethnic brood on my son Johns shoulders. The older is 13 year old Remliik or Remi and the younger is 3 year old Eli. Eli is Palauan-Japanese-Russian Jewish-Wasp. For all that, Eli looks remarkably like I did at that age.